"Unrivalled in cross-examination, he can destroy a witness and win a case within 15 minutes of standing up in court." Jasbir is an advocate with over 25 years’ experience specialising in complex and high value commercial disputes. After obtaining a 1st class law degree from Oxford University and an LLM from Harvard Law School, Jasbir spent three years at the New York Bar with Cravath, Swaine & Moore. Since 1997 he has been a member of Brick Court Chambers and has been involved in many of the leading English commercial cases. Jasbir is recognised by the legal directories as a leading barrister in Banking and Finance and Commercial Litigation. Jasbir is regularly instructed to appear as counsel in major international arbitrations under LCIA, ICC, SIAC and CAS rules and ad hoc in London, Paris, Switzerland and Singapore. He has extensive experience of dealing with foreign substantive laws including New York, Indian and Saudi laws. He has appeared in several substantial applications to the English Court in support of international arbitrations. Jasbir has been appointed to act as arbitrator in institutional and ad hoc arbitrations. Jasbir has extensive experience in a wide variety of areas of commercial law, including banking and finance, conflict of laws, fraud, asset tracing, company law (including shareholders’ rights), professional negligence, and public international law. Jasbir is a particularly versatile advocate as his practice extends to many other areas of civil law, including company, insolvency, intellectual property, defamation, regulatory, competition, public and administrative, sports and EU. Jasbir is a Bencher of the Honourable Society of Gray's Inn and accredited by Gray's Inn as an Advocacy Trainer. Since 2013 Jasbir has been a director of the Bar Mutual Indemnity Fund Ltd and is the Chairman of its Investments Committee. Jasbir was a member of the Standards Committee of the Bar Standards Board between 2006 and 2011. Jasbir has advised and represented UK and global retail banks, investment banks, hedge funds, other financial institutions and the FSA in relation to a wide variety of banking and finance disputes in the High Court, Court of Appeal and arbitral tribunals. He has litigated finance disputes before US federal and state courts during his time at the New York Bar. Jasbir has experience of a broad range of financial instruments and market practices including equity and debt instruments, taking and realising security, financial derivatives (including credit default swaps) governed by ISDA documentation, trading strategies, structured finance products (including securitisation, asset backed securities and CDOs), and Islamic financial products. Jasbir has extensive experience of banking and financial services regulation. He acted for Lloyds in relation to the Bank Charges investigation and litigation brought by the OFT. He advised Barclays in relation to the FSA’s investigation of PPI policies. He advised HM Treasury in relation to the Parliamentary Ombudsman's report on the regulation of Equitable Life. Jasbir is recognised by the independent directories as a leading barrister in the field of Banking and Finance. He was nominated for Banking & Finance Junior of the Year at the Chambers Bar Awards 2011. He was an assistant editor of Paget's Law of Banking and has given talks to City law firms and at major conferences on a wide range of banking issues, including at the 2015 Legal Business Commercial Litigation Summit. Jasbir has wide experience of commercial disputes involving contractual issues (including breach of warranty claims) international fraud, asset tracing, shreholders' rights, economic torts, quantum of damages, conflict of laws, public international law (including state immunity), obtaining interim relief, including freezing injunctions, pre-action and non-party disclosure and Norwich Pharmacal relief, and obtaining post-judgment relief. 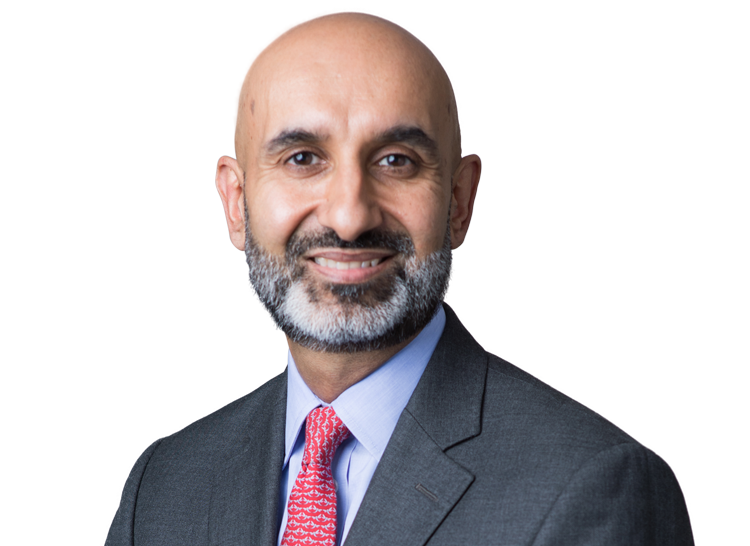 Jasbir also gives talks to City law firms and at major conferences on commercial litigation, including the C5 Transatlantic Litigation Conference (2014) and the Lawyer Managing Risk and Mitigating Litigation Conference (2015). Jasbir has experience of a wide variety of company and corporate insolvency disputes, including (1) advising on security issues arising in company administration proceedings; (2) advising creditors in relation to the Eurotunnel debt restructuring, including issues under the EU Insolvency Regulation; (3) acting for creditors in relation to proceedings seeking to set-aside fraudulent transactions under section 423 of the Insolvency Act and to set-aside fraudulent Individual Voluntary Arrangements. Jasbir has experience of advising and acting in proceedings for defamation. Jasbir is regularly instructed by UK and international clients, as well as States, to appear as counsel in major international arbitrations under LCIA, ICC, SIAC and CAS rules and ad hoc in London, Paris, Switzerland and Singapore. He has extensive experience of dealing with foreign substantive laws including New York, Saudi and Indian laws. Jasbir’s international arbitration experience as counsel includes: (1) a SIAC arbitration claim heard in Singapore concerning a minority shareholders’ dispute relating to a major Indian hospital governed by Indian law; (2) an ad hoc arbitration claim heard in London concerning an IT contract raising complex issues of quantification of damages on a claim valued at £1.4 billion; (3) an ICC arbitration claim concerning a dispute with respect to an Indian food group arising out of a shareholders’ agreement governed by Indian law; (4) a €35 million ICC arbitration claim heard on London brought by a global investment bank involving the issue of the compatibility of financial derivatives with Saudi law; (5) an ad hoc arbitration claim for £120 million heard in London in which he represented the UK Transport Secretary in a dispute concerning a rail franchise agreement; and (6) an ad hoc arbitration claim for £40 million concerning an agreement to provide classified defence technology. Jasbir has also been appointed to act as arbitrator in institutional and ad hoc arbitrations. Since 2014 Jasbir has been a member of the panel of arbitrators for the KLRCA. Jasbir is a contributor to “SIAC Rules: An Annotation” (Lexis, 2014). Secretary of State for Transport v. Stagecoach South Western Trains Ltd.  1 Lloyd’s Rep 175 (section 72 of Arbitration Act 1996). Jasbir has acted in a wide variety of professional negligence disputes including claims against barristers, solicitors, accountants/auditors, tax advisers, bankers and financial professionals. He has lectured extensively on the limitation of auditors' liability under the Companies Act 2006. Jasbir has extensive experience of insurance and reinsurance disputes. Jasbir has experience of sports disciplinary proceedings concerning drugs. Jasbir has advised a foreign sports tribunal in relation to a dispute concerning the selection of a national team to enter the 2004 Olympics. He has also advised sports bodies on re-drafting their disciplinary rules. Jasbir has represented clients in a number of intellectual property disputes involving trademarks, copyright, patents and breach of confidence. Jasbir advises and appears for clients in matters involving EU law, including anti-trust/competition and commercial agents. Jasbir has been instructed in many of the leading English cases concerning the Commercial Agents Regulations. Jasbir has experience of litigating ant-trust disputes concerning the following markets: US tobacco, US airlines, European pay tv/films, Mauritian telecoms and the UK beer/pubs. Jasbir advises and acts for commercial clients, the Government and other public authorities in relation to judicial review and human rights issues. Jasbir was instructed to act for the Electoral Commission in the first claim for forfeiture of an impermissible donation to a political party.